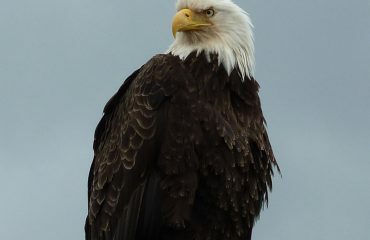 All about the Splendors of Alaska. 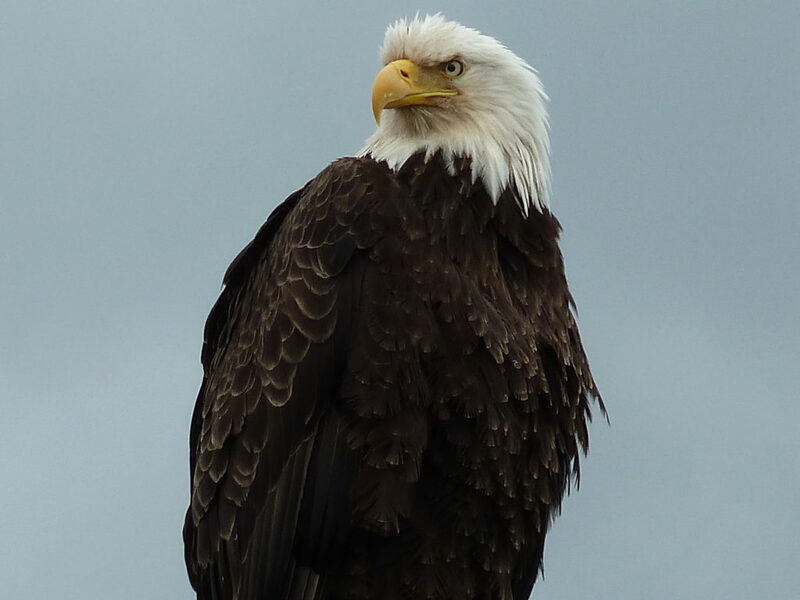 From searching for the tiny hummingbird to the mighty Bald Eagle, a wide and varied program is promised. Expert lecturers take you on thrilling excursions to show you the remarkable wildlife, indigenous cultures and magnificent landscapes of these remote lands. 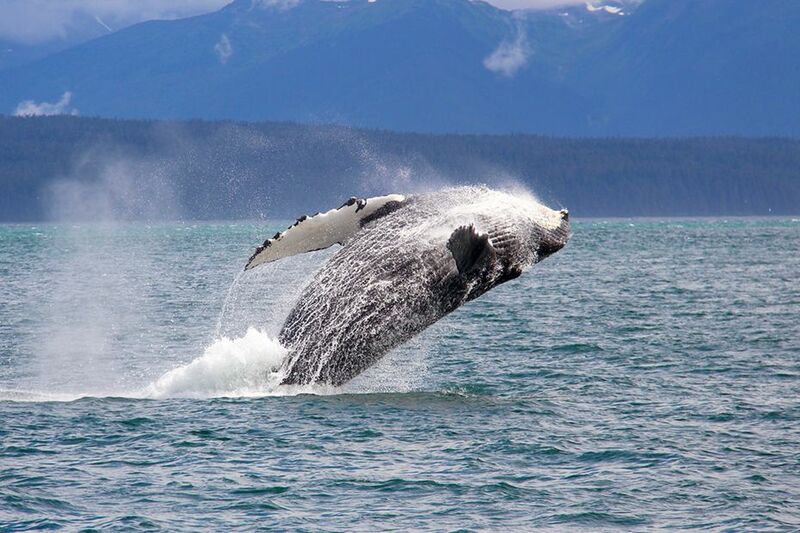 As mighty glaciers rise up from the frigid waters and Orcas breach for your camera, experience an Alaskan adventure as never before. 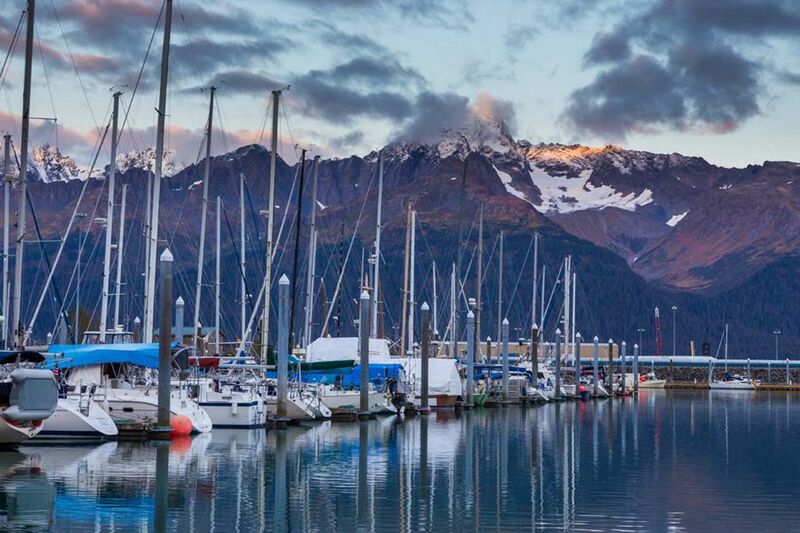 Join us to sail from Seward, Alaska to Vancouver, British Columbia to experience the dynamic culture and natural splendour this region has to offer. 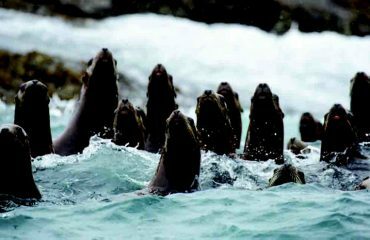 Cruise past the six mile-wide Hubbard Glacier and through the labyrinth of incredible fjords. See the totem poles of Metlakatla and learn of the Tsimshian and Tlingit indigenous cultures. 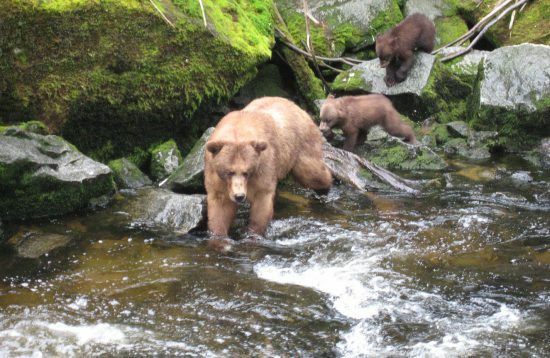 Tour the Tongass National Forest and seek out wildlife by land and sea. 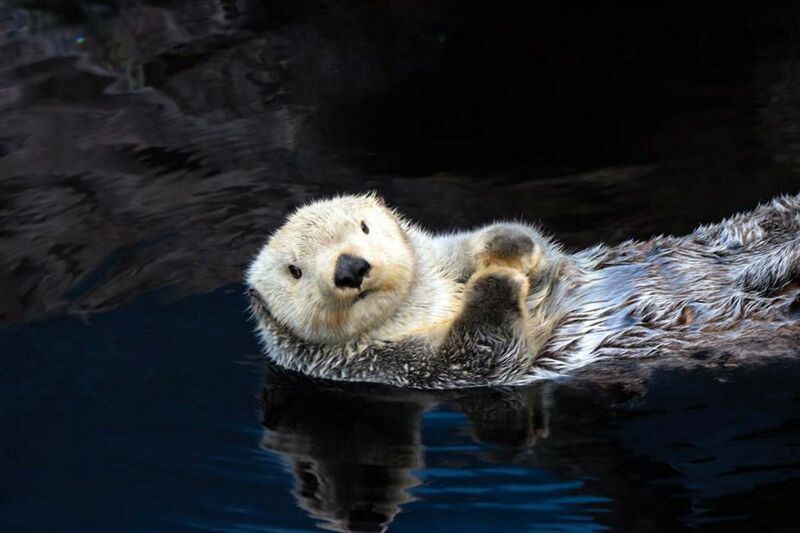 Nature lovers will delight not just in sweeping mountain- and fjord- views, but also in sightings of Bald Eagles, brown and black bears, humpback and orca whales, and shy harbor seals. 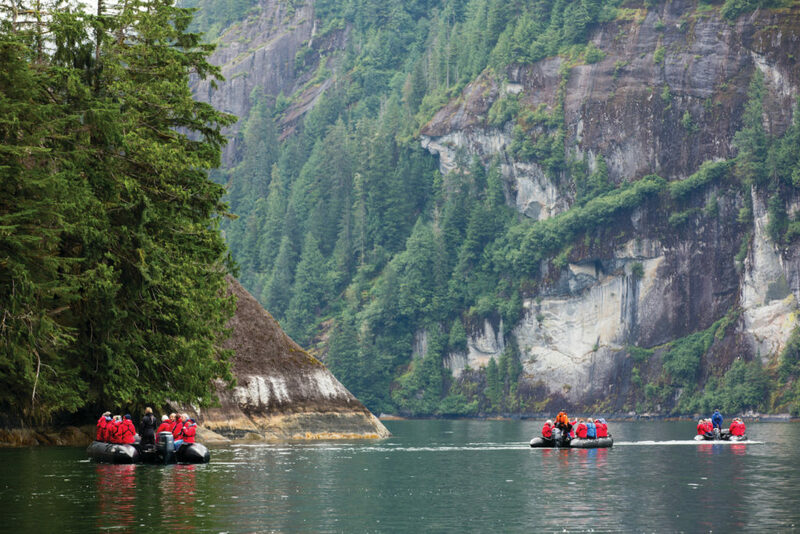 Throughout the voyage, learn about the history, geology, wildlife and botany of these locations from lecture presentations offered by your knowledgeable onboard Expedition Team. 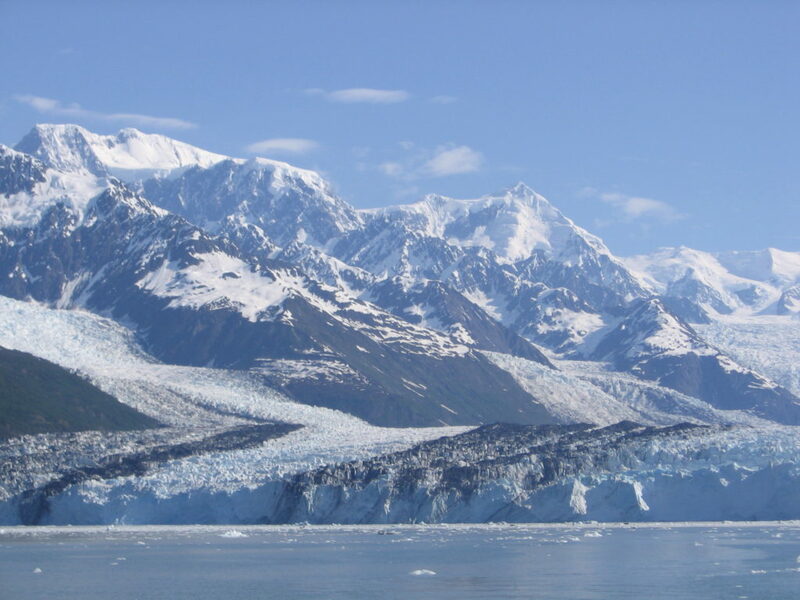 Cruise College Fjord in Alaska to visit glaciers named after Ivy League colleges. The frozen rivers of ice were named in 1899 by two professors from Harvard University and Amherst College after their Ivy League alma maters and sister schools. 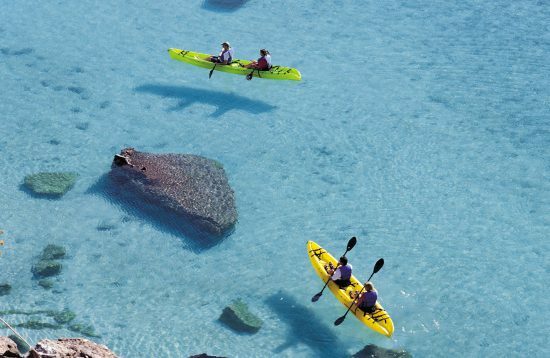 College Fjord offers idyllic views of snow-capped mountains and narrow waterways studded with blue-white icebergs. Cruise along Hubbard Glacier, off the coast of Yakutat, Alaska, the largest glacier in North America, with a calving front that is more than six miles wide. This glacier has been very active, with two major surges forward in 1986 and again in 2002. Known as “Little Norway” Petersburg is one of Alaska’s major fishing communities. Although the Tlingit and other indigenous groups had been in this area for centuries, the Norwegian Peter Buschmann started the first cannery and attracted more immigrants from Scandinavia so that a permanent town evolved. One can enjoy strolling through this community at leisure. 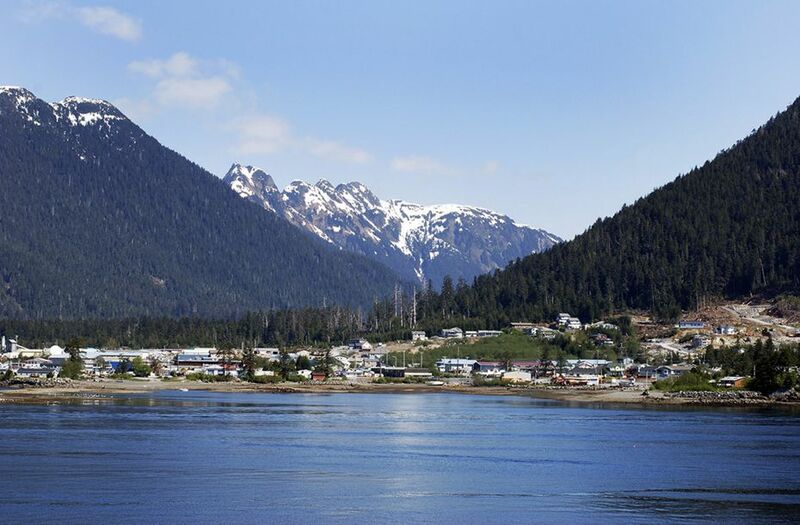 Petersburg is also the starting point for an excursion by local boats heading for LeConte Bay and the LeConte Glacier, North America’s southernmost tidewater glacier. To reach the glacier one has to pass snow covered peaks that rise out of the fjord to heights of more than 4,000 feet. 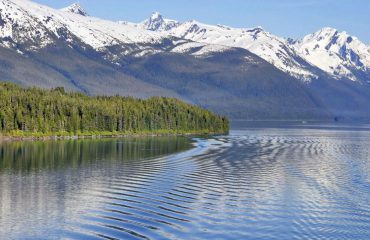 It is surrounded by the Tongass National Forest, the largest national forest in the US with 17 million acres of protected land. 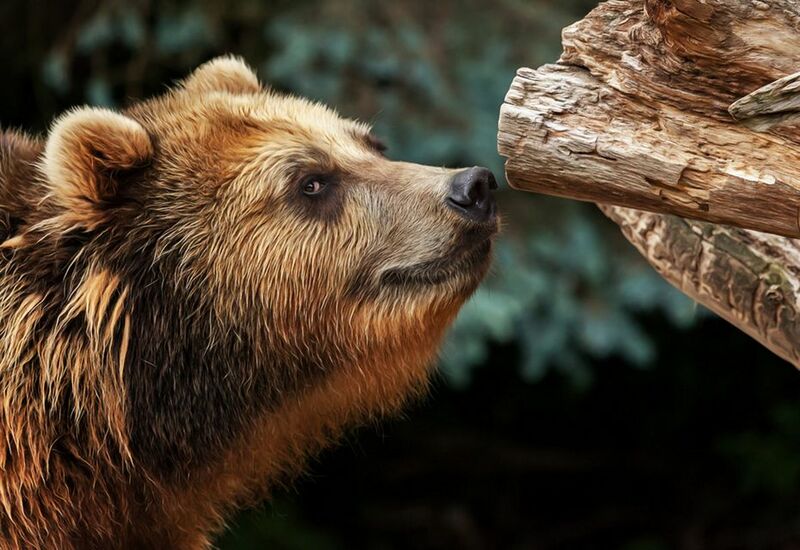 This massive reserve holds the largest Pacific temperate rainforest. The Tsimshian are the indigenous people of Metlakatla, a small ocean-front community in southern Alaska. The settlement holds at least a dozen ornate and emblematic Totem Poles for which the Tsimshian are famous. The people here respect and pay homage to their ancestors with traditional dance performances and ceremonies at their longhouse, the community’s heart and soul. Nanaimo on Vancouver Island is the territory of indigenous Snuneymuxw people. They are the keepers of an ancient culture dating back over 5,000 years. This region and people are part of the Coast Salish grouping of linguistically and ethnically related tribes of the Pacific Northwest. 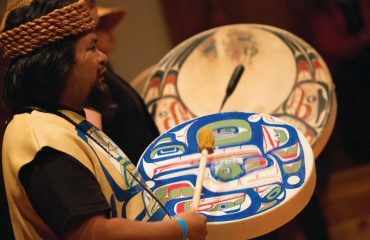 The dynamic Coast Salish culture reflects beliefs and values based upon the interconnectedness and spirit of all things. 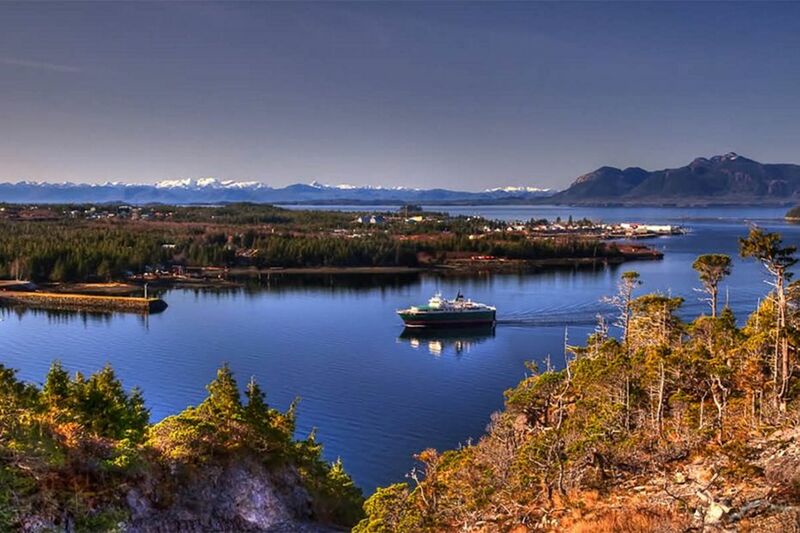 • Visit Metlakatla, home of the indigenous Tsimshian people, famous for their emblematic Totem Poles. • Observe native cultural presentations and ceremonies. 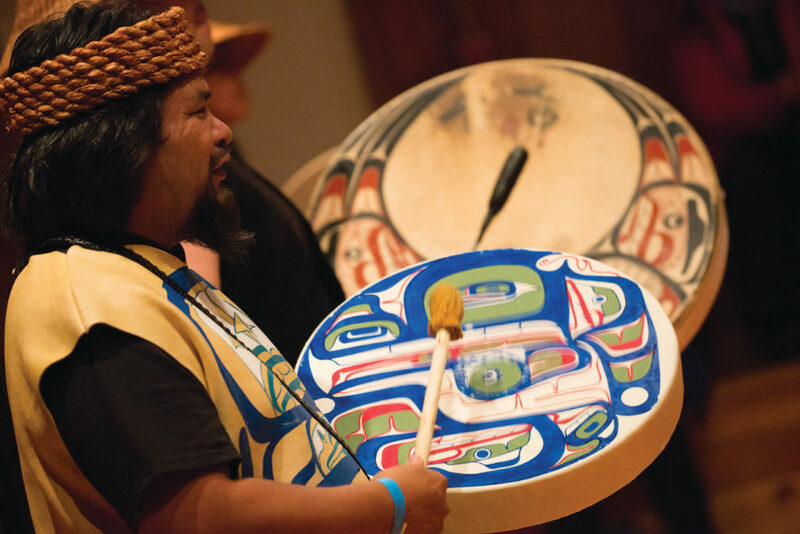 • Learn about the unique Coast Salish culture and values through a cultural presentation by the Snuneymuxw indigenous people in Nanaimo. Please note: Expedition highlights and wildlife listed here are possible experiences only and cannot be guaranteed. Your Expedition Leader and Captain will work together to ensure opportunities for adventure and exploration are the best possible, taking into account the prevailing weather, wildlife activity and ice conditions. 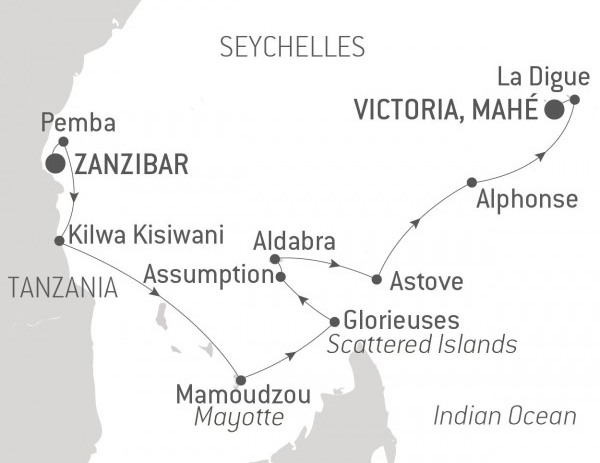 Expedition Team members scheduled for this voyage are subject to change or cancellation. 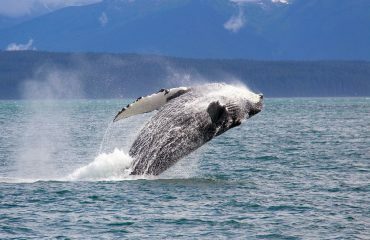 Arrive Anchorage and transfer to your included hotel. Remainder of day is free. 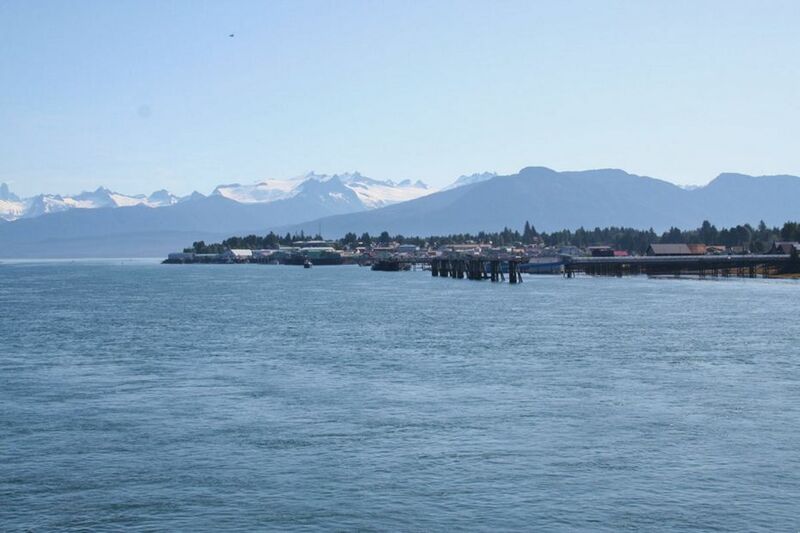 Transfer from Anchorage to Seward – Embarkation. Departure 5:00 PM. 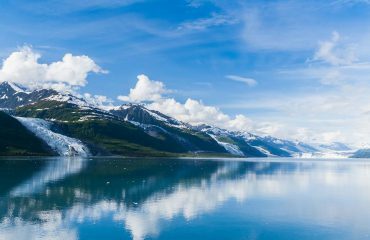 College Fjord in the northern sector of Prince William Sound is considered one of the most scenic fjords in the world with spectacular glacier viewing. There are over a dozen major glaciers in the fjord, all surrounded by rugged snow-capped mountains. It is possible from one point to see eight glaciers at once. College Fjord was discovered in 1899 during the Harriman Expedition. Edward Henry Harriman, a millionaire railroad tycoon, set sail with his family, a few select friends, inviting a group of scientist, artist and photographers, including 23 esteemed scientists from several Ivy League schools, to explore the fjords of Alaska. Including packers and hunters and the crew of 65, the total amount of people on the ship came to 126. The scientists named the glaciers in this fjord after their Ivy League alma maters and their sister schools. Those names include Amherst, Barnard, Bryn Mawr, Harvard, Smith, Vassar, and Yale. The glaciers of the northwest side feature names of women’s colleges and those of the southeast side are names of men’s colleges. Cape St Elias is the southwest end of Kayak Island in the Gulf of Alaska. It is separated from the mainland by a channel 4 miles wide. The island, named by Lt. Sarichef of the Russian Navy in 1826 because its outline resembles the shape of an Eskimo skin canoe, is 20 miles long and only 2 miles wide and covered in dense rainforest. The cape itself was named by Russian explorer Vitus Bering on July 20, 1741 in honour of St. Elias, whose saint’s day is July 20. The lighthouse, located at the southernmost tip, is a National Historic Landmark. It was built in 1916, and has been automated since 1974. It has been, and continues to be, an indispensable navigational aid along the shipping lanes from the contiguous American states and South-eastern Alaska to Cordova, Valdez, Seward, and Anchorage. 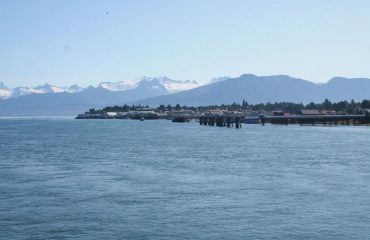 Sergius Narrows passage is used by small vessels to traverse from the open Pacific Ocean to the Alaskan Inside Passage. It is notoriously difficult to navigate due to raging currents and whirlpools. All vessels wait until slack tide when the currents are at their slowest to start manoeuvring. The narrow passage, less than 100 meters wide in places, wanders through heavily forested steep hills of the Tongass National Forest. 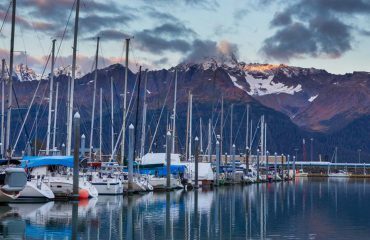 It’s hard not to like Sitka, with its eclectic blend of Alaska Native, Russian, and American history and its dramatic and beautiful open-ocean setting. 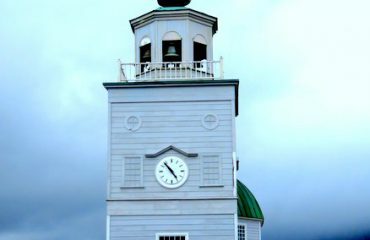 This is one of the best Inside Passage towns to explore on foot, with such sights as St. Michael’s Cathedral, Sheldon Jackson Museum, Castle Hill, Sitka National Historical Park, and the Alaska Raptor Center topping the town’s must-see list. 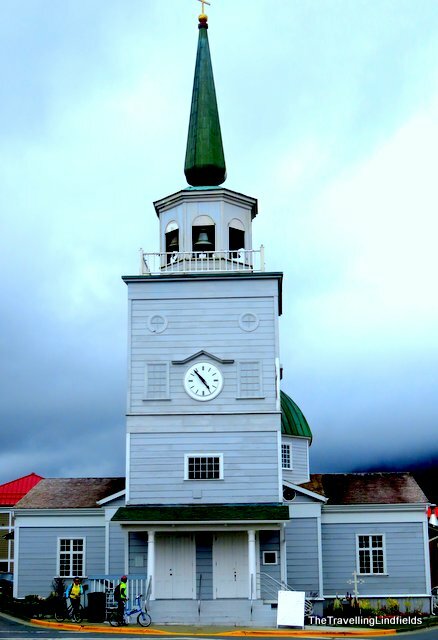 Sitka was home to the Kiksádi clan of the Tlingit people for centuries prior to the 18th-century arrival of the Russians under the direction of territorial governor Alexander Baranof, who believed the region was ideal for the fur trade. 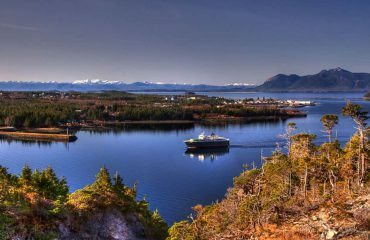 The governor also coveted the Sitka site for its beauty, mild climate, and economic potential; in the island’s massive timber forests he saw raw materials for shipbuilding. Its location offered trading routes as far west as Asia and as far south as California and Hawaii. In 1799 Baranof built St.Michael Archangel—a wooden fort and trading post 6 miles north of the present town. Strong disagreements arose shortly after the settlement. The Tlingits attacked the settlers and burned their buildings in 1802. Baranof, however, was away in Kodiak at the time. He returned in 1804 with a formidable force—including shipboard cannons—and attacked the Tlingits at their fort near Indian River, site of the present-day 105-acre Sitka National Historical Park, forcing many of them north to Chichagof Island. By 1821 the Tlingits had reached an accord with the Russians, who were happy to benefit from the tribe’s hunting skills. Under Baranof and succeeding managers, the Russian-American Company and the town prospered, becoming known as the Paris of the Pacific. The community built a major shipbuilding and repair facility, sawmills, and forges, and even initiated an ice industry, shipping blocks of ice from nearby Swan Lake to the booming San Francisco market. The settlement that was the site of the 1802 conflict is now called Old Sitka. It is a state park and listed as a National Historic Landmark. The town declined after its 1867 transfer from Russia to the United States, but it became prosperous again during World War II, when it served as a base for the U.S. effort to drive the Japanese from the Aleutian Islands. Today its most important industries are fishing, government, and tourism. Petersburg lies on the northern end of Mitkof Island, in the Inside Passage, on the banks of Frederick Sound where it joins the Wrangell Narrows. It is halfway between Juneau, 120 mi to the north, and Ketchikan 110 mi to the south. Remnants of fish traps and ancient petroglyphs indicate that this area was used by the Tlingit people as a summer fish camp for more than 1,000 years. In 1897 Peter Buschmann, a Norwegian immigrant, settled here. The place was named Petersburg after him, and was incorporated as a town in 1910. It flourished as a fishing port, and even today, it remains an island community that makes its living from the sea. It is the largest home-based halibut fleet in Alaska, and is ranked the 15th-most lucrative fisheries port in the United States by volume. 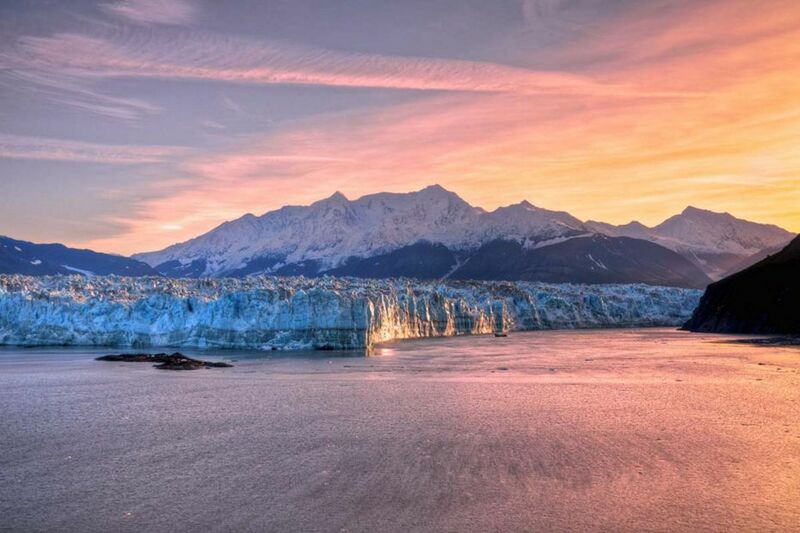 The Wrangell Narrows is one of the most scenic and well-known ‘Narrows’ in Alaska. 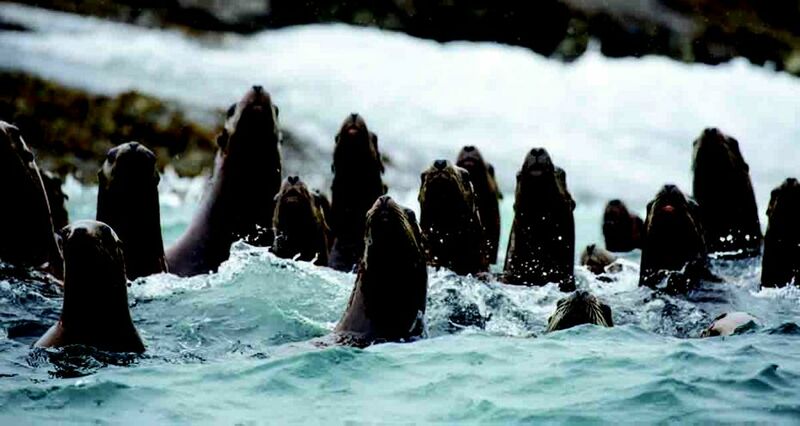 It is a winding 22 mile (35 km) long channel between Mitlof Island and Kupreanof Island in Southeast Alaska. There are about 60 lights and buoys to mark it because of its navigation hazards. 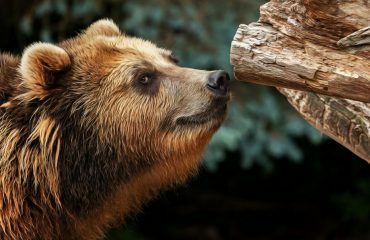 It was originally named in 1838 by G. Lindenberg to honour Admiral Baron Ferdinand Petrovich von Wrangell, a Baltic German explorer who was the chief manager of the Russian-American Company and governor of the Russian settlements in Alaska. For the past 150 years it has been a principal marine thoroughfare to Alaska from the lower 48 and Canada, and today is used by fishing boats and Alaska Marine Highway ferries. 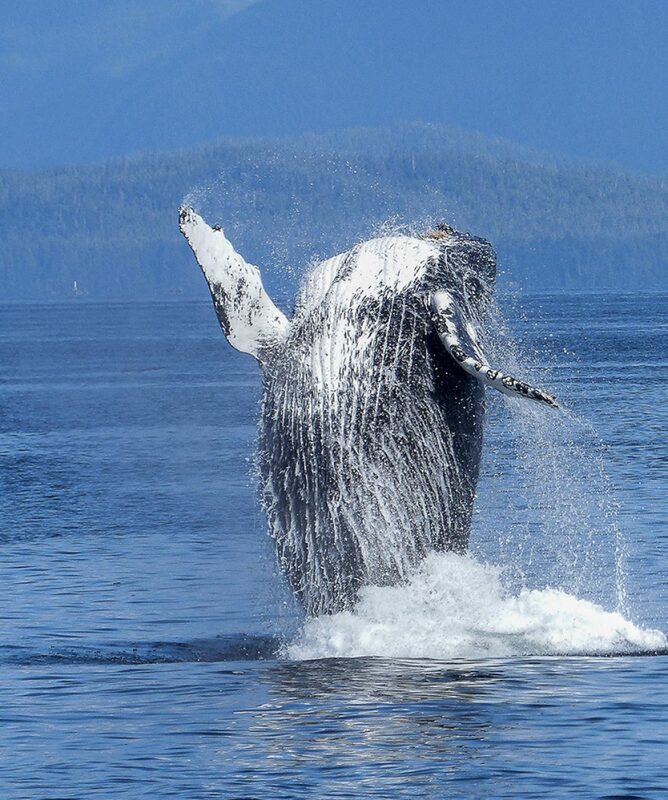 If it is drama that you are after, then you certainly need look no further that the dramatic beauty of the Inside Passage. With isolated communities nestling in shoreside villages, mountains rising from the tidal waters, seals basking on ice floes and massive glaciers calving with a thunderous snap in the distance, this stretch of water is quite unique. 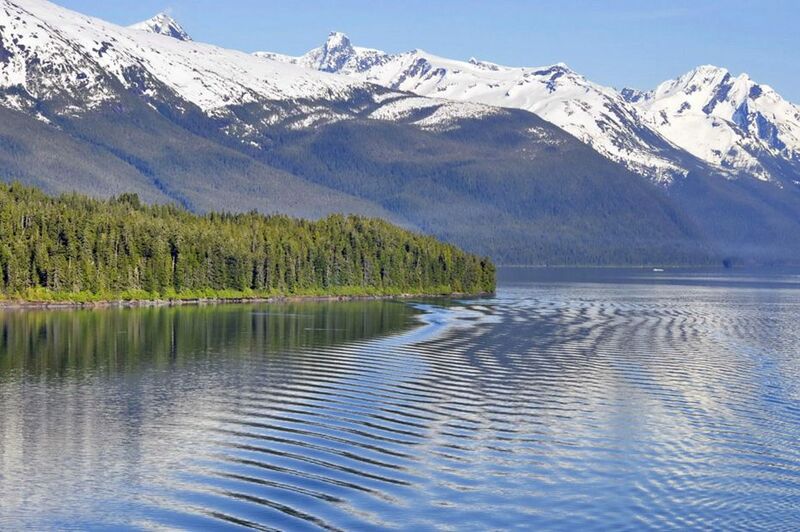 Named after early explorers who were looking for the Northwest Passage (found much further north), cruising the Inside Passage has become a must for any sailing aficionado. 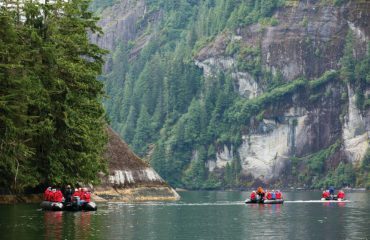 Perhaps it is the massive – and advancing – glaciers that look like they have been sculpted by Mother Nature herself that is the draw; or maybe it is the calm waters that are protected from the otherwise enervated Pacific. 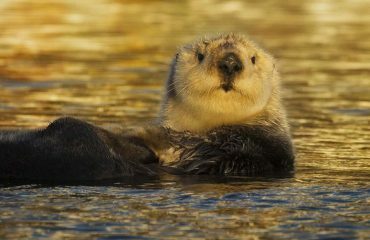 Or it could be it is the plethora of wildlife that can be spotted above and below the water that will stay with you forever. Nanaimo is located on the east coast of Vancouver Island in British Columbia, Canada, about 70.2 miles (113 kilometres) northwest of Victoria and 34.1 miles (55 kilometres) west of Vancouver. The ’Harbour City’ of Nanaimo is separated by the Strait of Georgia, and linked to Vancouver via the Horseshoe Bay BC Ferries terminal in West Vancouver. 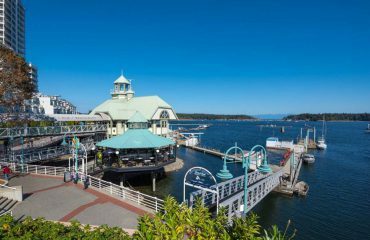 As the site of the main ferry terminal, Nanaimo is the gateway to many other destinations both on the northern part of the island, such as Tofino, Comox Valley, Parksville, Campbell River, Port Alberni, and Rathtrevor Beach Provincial Park. Offshore islands accessible via Nanaimo include Newcastle Island, Protection Island, Gabriola Island, Valdes Island, and many other Gulf Islands. Nanaimo is also the headquarters of the Regional District of Nanaimo. After breakfast, disembark Silver Explorer and transfer to the airport, or stay on to explore more of British Columbia and the Pacific Northwest. Vancouver is a delicious juxtaposition of urban sophistication and on-your-doorstep wilderness adventure. 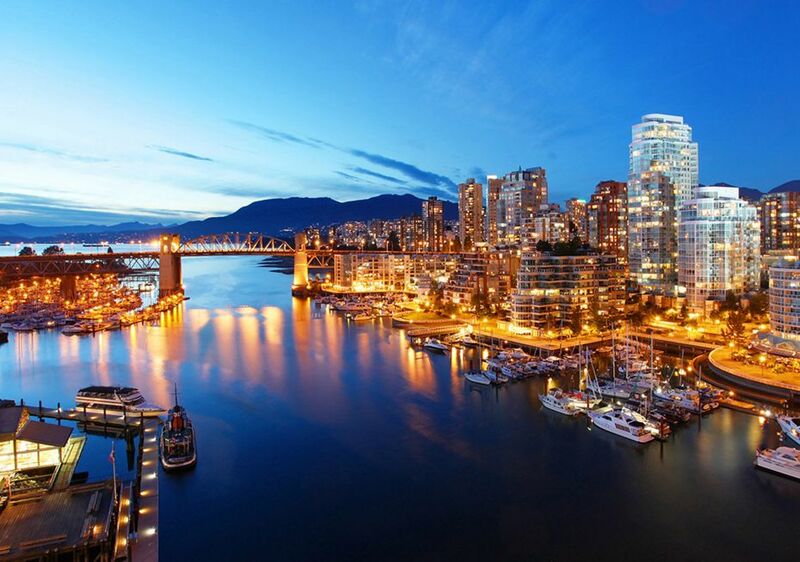 The mountains and seascape make the city an outdoor playground for hiking, skiing, kayaking, cycling, and sailing—and so much more—while the cuisine and arts scenes are equally diverse, reflecting the makeup of Vancouver’s ethnic (predominantly Asian) mosaic. 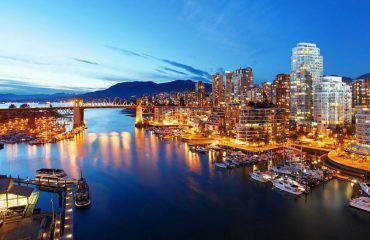 Vancouver is consistently ranked as one of the world’s most livable cities, and it’s easy for visitors to see why. It’s beautiful, it’s outdoorsy, and there’s a laidback West Coast vibe. On the one hand, there’s easy access to a variety of outdoor activities, a fabulous variety of beaches, and amazing parks. At the same time, the city has a multicultural vitality and cosmopolitan flair. 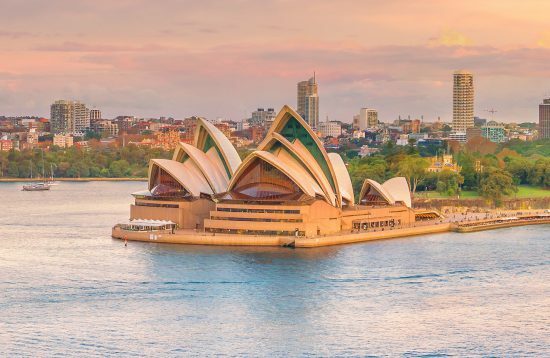 The attraction is as much in the range of food choices—the fresh seafood and local produce are some of North America’s best—as it is in the museums, shopping, and nightlife. Vancouver’s landscaping also adds to the city’s walking appeal. In spring, flowerbeds spill over with tulips and daffodils while sea breezes scatter scented cherry blossoms throughout Downtown; in summer office workers take to the beaches, parks, and urban courtyards for picnic lunches and laptop meetings. 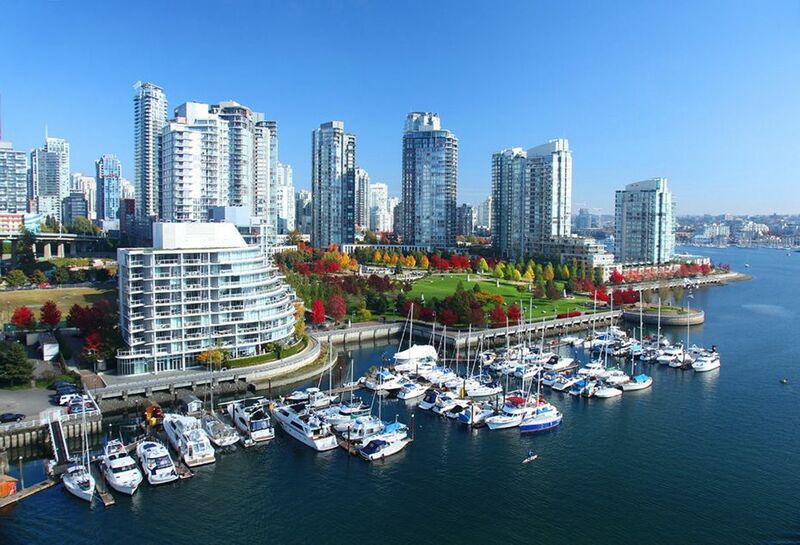 More than 8 million visitors each year come to Vancouver, Canada’s third-largest metropolitan area. Because of its peninsula location, traffic flow is a contentious issue. Thankfully, Vancouver is wonderfully walkable, especially in the downtown core. The North Shore is a scoot across the harbor, and the rapid-transit system to Richmond and the airport means that staying in the more affordable ’burbs doesn’t have to be synonymous with sacrificing convenience. 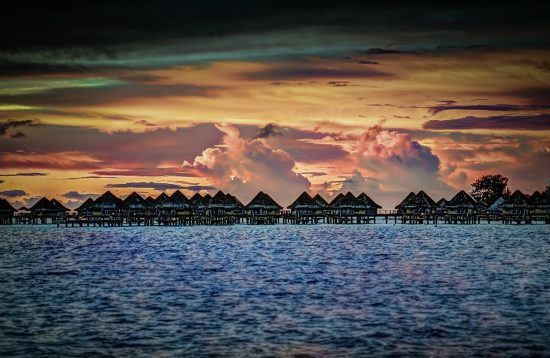 The mild climate, exquisite natural scenery, and relaxed outdoor lifestyle keep attracting residents, and the number of visitors is increasing for the same reasons. People often get their first glimpse of Vancouver when catching an Alaskan cruise, and many return at some point to spend more time here. The purpose-built Silver Explorer expedition cruise ship has been designed specifically for navigating waters in some of the world’s most remote destinations, including both of earth’s polar regions. A strengthened hull with a Lloyd’s Register ice-class notation (1A) for passenger vessels enables Silver Explorer to safely push through ice floes with ease. A fleet of Zodiac boats allows guests to visit even the most off-the-beaten path locations and an expert Expedition Team provides insight and understanding to each unforgettable Silver Explorer luxury cruise adventure. The Fitness Center is open daily and offers a treadmill, elliptical trainer, stationary bike and a weight machine. The Library has an extensive selection of hardcover books, magazines, reference materials and newspapers, as well as audio listening stations. Movies are also available and can be viewed on your in-suite entertainment center. Located on Deck 6 high atop the ship, the Observation Lounge offers panoramic views. Here you will find comfortable seats to enjoy a beverage and watch the ever-changing view. The Panorama Lounge is specially designed to provide an uninterrupted view of the day’s destination from the comfort of the ship’s interior. This is an ideal place to unwind, listen to the pianist and enjoy a nightcap with new friends. Sparkling with silver, crystal and candlelight, The Restaurant encircles its guests with sophisticated elegance and impeccable service. Relax your body and mind with a wide range of soothing therapies including facials, body wraps and massages. Sauna and steam rooms are perfect for relaxing before your spa treatment or after a long nature hike. Appointments for chargeable services may be made on board the ship, or in advance via My Voyage. Gather in The Theater to hear fascinating tales of adventure or to learn about the region’s endemic wildlife and remarkable nature. Lectures and seminars are presented by knowledgeable experts in a variety of scientific fields. Silver and Expedition suites can accommodate three guests. Grand Suite can accommodate 3 guests.